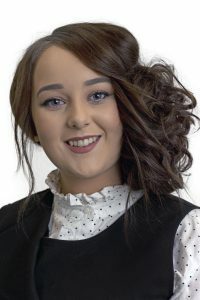 My name is Emma-Rose Duffy and from a young age I have always been interested in exploring the realm of Children’s Rights, particularly in relation to the law and justice system. I graduated with a degree in Law and a Masters in Children’s Rights from Queen’s University Belfast in 2014 and 2015 respectively. Outside of the classroom, in 2012 I was chosen to attend a weeklong tour of London’s prestigious corporate law firms. This was an invaluable and insightful experience as although I had always advocated an interest in children’s rights, it reiterated to me just how much I wanted to focus on using, and perhaps changing the law to make a difference in children’s lives. I was also a member of Queen’s debating society where I relished the opportunity to discuss past and present Children’s Rights issues. In the academic year 2012/13 I was granted a scholarship for Study USA; studying Business, Criminal Justice and Forensic Science at Centenary College New Jersey. I also interned with the Hackettstown Business District where I helped organise the Annual St. Patrick’s Day Parade and recruit new businesses to the town. My passion for helping children was also developed through Centenary’s Enactus team, working on projects such as the ‘Next Step’; a mentorship program focused on at-risk youth in Newark and their academic options after high-school. This experience inspired me to travel outside Northern Ireland to obtain experience in other jurisdictions. In my final year, thanks to the Irish American Bar Association, I was privileged to be chosen as the Northern Irish student to represent Queen’s as the 2014 extern at the Los Angeles Federal and State Courts. Participating in the externship helped me relish the challenge that a demanding law career would entail whilst opening my eyes to the reality of what people have to endure inside a courtroom, particularly children. I spent several weeks observing in Edmund D Edelman Children’s Dependency Court which was designed and built to be a child sensitive courthouse. It exhibits an environment in which children are recognised as the most important parties in the court process and one which endeavours to reduce the anxiety and stress children and their families feel as much as possible. Here I was able to witness first hand just how difficult it is for children to appear in court, especially if it is their first time stepping inside a courtroom. Gaining first-hand experience of such a unique set up further ignited my passion to help improve the court system for child witnesses in NI. In order to help gain a better understanding of the issues of the current court system relating to children in NI, I became a volunteer for the NSPCC’s ‘Young Witness Service’ upon my return from Los Angeles. I worked alongside social workers to provide support and information to children giving evidence at trial and accompanied children giving evidence via TV link in Belfast courts. I also applied to complete a Masters in Children’s Rights. My dissertation, entitled ‘Teddy Bears in Court’ compared the NI and LA court systems and argued for more child friendly court rooms to be built in NI. This is something which I hope to be able to implement in NI in the future. In terms of legal experience, I have worked as a conveyancing Paralegal with Hunt Solicitors in Holywood and a criminal Paralegal with Madden and Finucane Solicitors in Belfast. As part of my work with Madden and Finucane Solicitors I attended youth, magistrates and crown court proceedings for both youth and adult clients in Belfast, Dublin and Limerick. I really enjoyed interacting and building a rapport with the clients and attending court on a daily basis has been invaluable in preparing me for my future legal career. Having always had an interest in Children’s Rights and youth justice I have always admired the work and ethos of the Children’s Law Centre and I am therefore honoured to have been chosen as the trainee for the Children’s Law Centre NI and as a Justice First Fellow. As I have gained experience in this field through volunteering, work experience and employment, I have seen first-hand how little say young people have in some situations impacting their lives. I have also witnessed the ignorance of some adults towards children and their opinions despite the fact Article 12 of the UNCRC states that children have the right to have their voices heard in all matters concerning them. I am really excited to work with the Children’s Law Centre NI to ensure that all children are valued, have their rights protected and can participate without discrimination. My project aim is to ascertain how, and to what extent Brexit will have an adverse impact on the educational experiences of children and young people in Northern Ireland. I am also trying to identify relevant jurisprudence of the ECJ which may be engaged in respect of the rights of children to access education. The project involves scoping current EU Legal entitlement, funding, policy co-ordination, intelligence exchange and gathering, data and accountability and redress mechanisms relating to the child’s right to education in NI and also relevant EU law and policy providing protection from discrimination for children with disabilities accessing education in NI. The information identified through my work will be used as a tool for lobbying those involved in the Brexit negotiations in order to ensure that the rights of children and young people are protected and championed as part of the Brexit process.